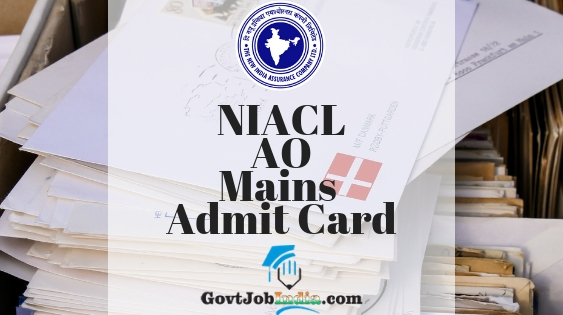 NIACL AO Mains Hall Ticket 2019 Download– The New India Assurance Company Ltd will soon release the NIACL Main Exam Admit Card for the year 2019 for the posts of Administrative Officer. Given below in this article are all the details about the NIACL AO Call Letter and you will be glad to know that we have also given the direct link to download the NIA Admn. Officer Hall Ticket here. You will also find all the details of the New India Assurance Exam dates and NIACL Main Exam Centers here on our page. Basically, we have covered all the parts related to the NIA recruitment which you need to know this year for the NIACL Main Examination which is to be conducted on the 3rd March 2019. Furthermore, be assured that this is all credible information as this information is from the official website of the New India Assurance Company Ltd which is www.newindia.co.in. You can visit this site which is linked below. But before that, please skim through the article given here. After successful completion of the NIACL AO Preliminary Exam on the 30th January 2019, candidates whose names featured in the merit List released by the NIA will soon get an email or an SMS 10-15 days before the commencement of the Admn. Officer Main Examination regarding the NIACL Main Exam and its call letter. We, at GovtJobIndia.com, are just here to make your job a lot easier. All candidates will have to do is bookmark this page and you will automatically be notified as and when the NIACL Mains Exam Call Letter comes out. In addition to this, any doubts regarding the NIACL recruitment 2019, you can comment and connect with us in the comments section provided below and we will clear it out as soon as possible. So, now that you have gathered the summary of this article, let us move on with the article about NIACL AO Mains Hall Ticket 2019. For more information related to the NIACL AO Recruitment Selection Procedure, head over to the NIACL Mains Syllabus 2018 19. 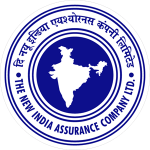 The NIACL Main Examination or the descriptive test will be conducted by the New India Assurance Company Ltd on the 3rd March 2019 for the posts of Administrative Officers for the year 2019. Now, moving on to the NIACL AO Mains Exam Centers 2019. These will be different from the prelims centres as there are way fewer contestants in this round. The main exam centres for the NIACL Descriptive test are given below. NOTE: Contenders reporting after the reporting time specified on the call letter for Examination will not be admitted into the examination hall. Please note that all the applicants will have to carry with them all of these documents mentioned below. NOTE: Ration card and Learner’s Driving license cannot be counted as valid proofs of identification. How to download the NIACL AO Exam Hall ticket 2019? 1. Shortlisted entrants will be informed to download NIACL AO Admit Card through SMS or e-mail. 2. Visit the official website of the New India Assurance Corporation Limited which is @ www.newindia.co.in and find the hall ticket download link. 3. Alternatively, go to the link given below and click on the download option. 4. Enter you registration details asked and click on submit. 5. Your NIA Admit Card will be on the screen. Download it and print it out. Please note that the NIACL AO call letter will not be sent through post/courier or any other way. If you found this article about the NIACL AO Mains Admit Card 2019 useful and informative, ensure that you share this article with all those who might be looking for this information. In addition to this, make sure to comment below and in the comments section provided below and let us know if you have any problems while downloading the New India Assurance AO Main Exam Hall Ticket 2019. To conclude, we will finish off by reminding you to subscribe to our website @GovtJobIndia.com and also bookmark this article/page for latest updates related to the NIACL AO Mains Call Letter 2019.